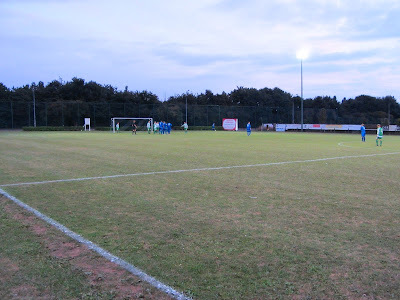 My nineteenth stadium of 2013 was on Tuesday 3rd September 2013 at King George V Playing Fields in Ipswich, Suffolk. 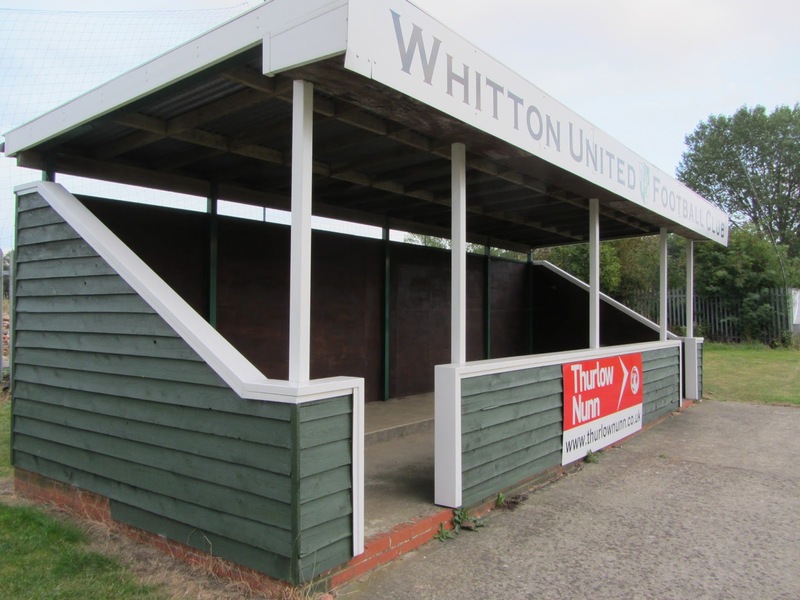 The match was Whitton United vs. Waltham Abbey in the F.A. Cup Preliminary Round. The King George V Playing Fields is a complex of football pitches located in the Whitton area of Ipswich in the north-west outskirts of the town. The stadium is located 2.5 miles from the Ipswich railway station. The ground has one small all-seater stand which sits behind the goal at the northern end of the venue. This covered structure has a total of 112 seats.This end of the ground also contains a food outlet with wooden benches positioned in front of it and a small hospitality area. The player dressing rooms are located just outside the stadium along with the clubhouse. The west side of the ground has a covered standing section known as The Shed which sits towards the northern end of the venue. This side of the ground also houses the dugouts which sit level with the half-way line. Opposite this is another small wooden stand which provides shelter for any standing fans on the east side of the ground. The remainder of the ground is uncovered standing although the area behind the nothern goal is off-limits due to the fact the this area sits very close to the A1156 road. The game was an F.A. Cup Preliminary Round Replay between Eastern Counties League Division One side Whitton United and Isthmian League Division One North side Waltham Abbey. The two sides had met three days earlier with Whitton salvaging a draw after going behind in the first half. The visitors looked intent on stamping their authority on the tie and didn't take long to start hammering at the Whitton goal. In the 18th minute they hit the bar from the edge of the box and just a few minutes later got the opening goal of the game. The opener came from a fast counter-attack from a Whitton corner - Waltham Abbey broke away and had three against two approaching the home goal. The ball was played to Ayrton Coley on the right wing and he struck low into the bottom corner. The away team doubled their lead in the 36th minute when Darelle Russell struck a low shot from the edge of the box which just went out of the goalkeeper's reach and nestled in the far corner. Waltham were comfortably the better team for the rest of the game. The closest the home side came to netting was in the 67th minute when a well struck free-kick which clipped the crossbar. Any hope Whitton had of getting back into the tie evaporated when a defensive error resulted in Tom Bruno being let into the area and in a one-on-one encounter with the goalkeeper Bruno tucked the ball into the goal to make it 3-0. Waltham did have another effort chalked off for offside late on so they had to settle for a three-goal victory en-route to the F.A. Cup 1st Qualifying Round.